The new 2019 RAM 1500 Laramie Longhorn edition. Ram has released the all-new 2019 Ram 1500 Laramie Longhorn Edition — the no compromise luxury pickup leading in style, durability and efficiency. 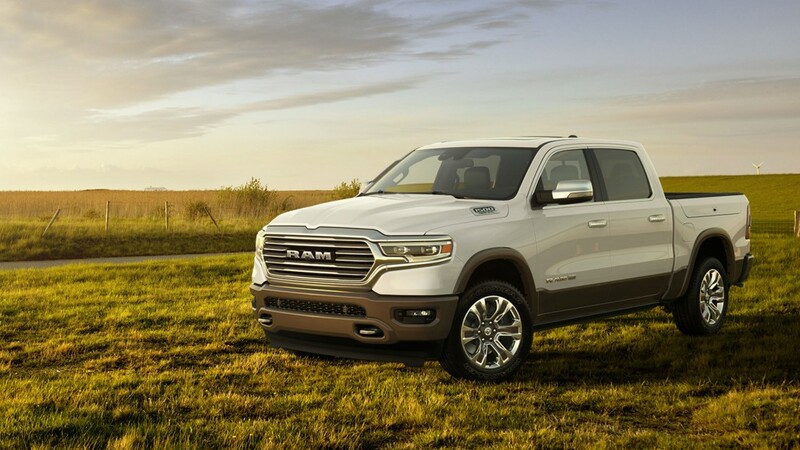 "The all-new 2019 Ram 1500 Laramie Longhorn is a no-compromise luxury truck that delivers what buyers want most: strength, durability, technology and efficiency," said Mike Manley, head of Ram brand. "Wherever you look, whatever you touch, the Laramie Longhorn is filled with more craftsman-like details, including wood surfaces and 100 percent full-grain leather seats, than any other truck in the segment." Layered with premium materials, the Laramie Longhorn carries iconic features and design cues from traditionally handcrafted, time-tested wares such as the antique pocket watch, hand-tooled leather cowboy boots or a horseman's saddle. The Ram Laramie Longhorn's wood, metal and leather elements are all authentic. Inside, the 2019 Ram 1500's Laramie Longhorn trim exudes quality with a hand-wrapped, 100 percent full-grain leather dashboard and southwestern-design-inspired door-panel and armrest coverings. Throughout the cabin, a new embossed alligator skin pattern leather covers surfaces including the center console, instrument panel, seats and door panel inserts. Other unique details include satin chrome accents, a brushed-nickel metal badge flush-mounted on the console lid and a new "Longhorn" branding mark burned on the wood-trimmed upper glove box door. A chrome billet "RAM" grille and chrome header surround the premium LED lamps with Adaptive Front-lighting System (AFS). Chrome bumpers, tow hooks and side steps come standard as do wheel flares. Two-tone color options complement the RV Match Walnut Brown paint. New 20- or 22-inch wheels are offered with a variety of complementary finishes. The Laramie Longhorn Edition belt-buckle badge appears on the front doors and tailgate.